DATE OF BIRTH: 23 September 1991, St Helens, Merseyside. BRITISH CAREER: (2010) Scunthorpe, Scunthorpe II; (2011) Scunthorpe, Scunthorpe II/Sheffield II; (2012) Newcastle; (2013) Newcastle, Redcar; (2014) Swindon, Edinburgh, Cradley; (2015-17) Belle Vue, Newcastle; (2018) Scunthorpe. CLUB HONOUR: League Championship winner: 2011 [Scunthorpe II/Sheffield II], 2014 [Edinburgh], 2014 [Cradley]; Knock-Out Cup winner: 2012 [Newcastle], 2014 [Edinburgh], 2014 [Cradley], 2017 [Belle Vue]; Premier League Cup winner: 2014 [Edinburgh]; National League Shield winner: 2014 [Cradley]; Four-Team Championship winner: 2014 [Cradley]. WORLD CUP RECORD: 2 meetings, 19 points. 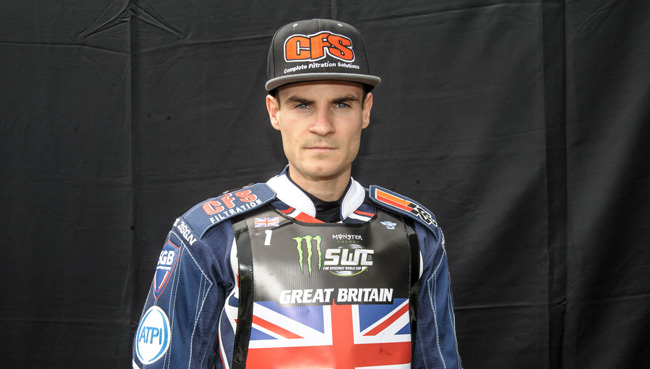 RIDER LINKS: Twin brother of Richie Worrall (born: 23 September 1991, St Helens, Merseyside).